All Replies on Homemade wood filler??? 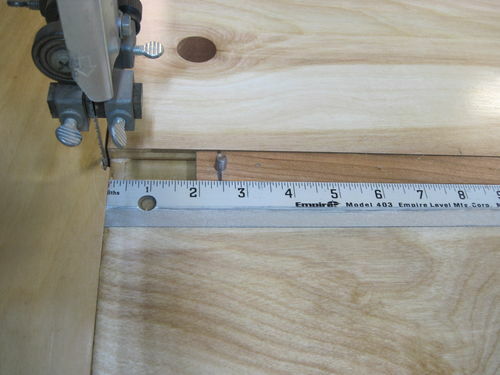 For filling knot holes, I’d use 5 minute epoxy mixed with the sawdust. As for wood filler, dunno. My Grandfather used very fine wood dust of same species and hide glue. Isn’t hide glue the stuff you get as powder and you add water and boil it? Never really messed with it other than to read about it in a book. Is there a working time? I thought about the 5 minute epoxy clear stuff and just mix in some saw dust. Thanks fellas for the replies so far!!!!! Isn t hide glue the stuff you get as powder and you add water and boil it? Never really messed with it other than to read about it in a book. Is there a working time? I thought about the 5 minute epoxy clear stuff and just mix in some saw dust. Thanks fellas for the replies so far!!!!! Also comes in a tube like normal wood glue. Just takes a lot longer to set up. Titebond makes liquid hide glue, and there’s also Old Brown Glue. Also comes in a tube like normal wood glue. Just takes a lot longer to set up. Titebond makes liquid hide glue, and there s also Old Brown Glue. Thank you sir, I will check those out!! Don’t boil hide glue! Just sayin’. There are countless ways to do what you want, and no one technique is likely best for all of them. You can fill small cracks with things like sawdust mixed with white glue, you can sprinkle sawdust into the crack, rub it in firmly, and run thin CA glue along it. You can use a product like Timbermate, or the epoxy mentioned earlier. Larger cracks will do best with materials like epoxy putty, epoxy or Timbermate. For knots, it really depends on the situation. If they are solid and not loose, don’t do anything, although you might need to seal them when you go to finish. If they are loose, a good low-viscosity (probably not a quality of the 5-minute stuff) epoxy will get into the nooks and crannies. You might want to add pigment, but any sawdust will thicken it and make it less likely to get down in there and fix the knot in place. Also, some clear packing tape on the back of the board to keep it from flowing out the bottom is a good idea. Regarding nail holes. I never have them, but something like Timbermate would do the job. There are also a huge variety of options to apply after the piece is finished. Various fills — wax fill, hard fill — the list is a long one and the choice depends a lot on how the piece will be used. You wouldn’t use a wax fill on a table top for instance. I could go on, and others will surely offer even more ideas. It’s one of those things that’s good to have some practice with and a big bag of tricks. I agree with Rich, one should have several different methods of dealing with imperfections. When I made my circle cutting jig the plywood had some wicked knot. Rather than toss it I drilled out the hole and turned a plug on the lathe and glued it in. Below is picture. Took out the offending knot but let the character of the spiral and such in place and set it off with a piece of mahogany. Now if you are painting then any filler or even automotive filler Bondo works well. I generally do not paint but my current project is being painted, sacrilege I know. Hopefully I will be forgiven once the overall project is posted and my reason for the paint is explained. Rather than toss it I drilled out the hole and turned a plug on the lathe and glued it in. Nice jig. I’d have probably filled it after drilling with epoxy putty. That’s just me though, not a better or worse solution. That’s kind of the theme here. There are lots of ways to skin a cat, and every situation will have multiple options that all do the trick. A lot comes down to what you’re comfortable doing (I don’t have a lathe, so turning a plug would be difficult), and what things you have on hand. There are lots of fixes I did in the past that I’ve learned better ways of doing today, and I’m sure I’ll find new and better ways in the future. Thanks for the replies and info fellas, it is greatly appreciated!!! Food for thought has been the solution to many a problem. For small things to be filled I’ve had success with just sawdust and Titebond wood glue. For example filling in around inlays. My grand dad would just make lots of airborne dust from the desired wood, breath deeply through his nose, then use the sawdust saturated boogers to fill the holes. I’m in the mix dust with glue camp. One needs to watch the color of the glue used, standard yellow glue will change the color pos the wood dust used. Clear epoxy works well but will not absorb finishes well. I’ve found that if possible, add some off the finish to the dust when mixing with epoxy/glue, it really helps getting the final color matched. I try and save different colors of wood when I’m sanding it. I keep it labeled in small plastic containers. When I need a filler I use the wood dust that came from the same kind or wood and mix other colors to it if I need to lighten it up or get it a little darker. I usually use titebond 3, seems to work well for me. It’s really hard to match wood perfectly, but if you fool around a little you can get real close. Thanks for all the replies. I will start cleaning out my band saw when I switch to a different wood from now on…you never know when you are going to need some filler. I don’t know why, but my band saw produces some seriously fine dust. Thanks for all the replies. I will start cleaning out my band saw when I switch to a different wood from now on…you never know when you are going to need some filler. I don t know why, but my band saw produces some seriously fine dust. If you want to go that direction, this spice grinder does a good job of producing very fine dust. I dedicated one to wood dust, although, like I said earlier, I don’t do the wood dust fills much anymore. There are many other techniques with far better results. I use Mohawk sawdust pencils. They come with an epoxy mix tube that pre mixes as you inject the mixture from the dispersing pencil. After drying, they have a fine pinstripe type brush that helps pull grain across the fill making it virtually invisible. Interesting, had no idea they even made something like this. Have to try some now. Thanks for the tip! I use Mohawk sawdust pencils. They come with an epoxy mix tube that pre mixes as you inject the mixture from the dispersing pencil. Mohawk sawdust pencils are the best! I bought the cordless 12V epoxy mix tube. I strongly recommend it if you do a lot of this type of work. Also, the graining markers are ideal to use while you listen to Jimmy Buffet. Rich stop sniffing the markers. That’s why I have to show I.D. when I go to the borg for glue, spray paint, etc etc. I use a lot of homemade filler. I mix sanding dust (not sawdust, too coarse) and white glue to the thickness of mayonnaise and apply using an old gift card as a squeegee. to fill small cracks. Sand well after it dries. Any glue will work but all other glues will darken the filler a lot. White glue does not. White glue is not water resistant, nor is liquid hide glue from titebond. Loose knots or large voids require epoxy mixed with the sanding dust. I use a finishing epoxy called “Z POXY” it is quite thin and takes 12 hours to set up. For small voids or knots I use sawdust and thick super glue. Pack the void with the sawdust then add the glue. To accelerate the absorption of the thick super glue I first put thin super glue on it and immediately add the thick glue until no more sinks in. One good way to get very fine sawdust is from the dust collector bag on a belt or orbital sander. I save this sawdust in plastic jars marked by the species. 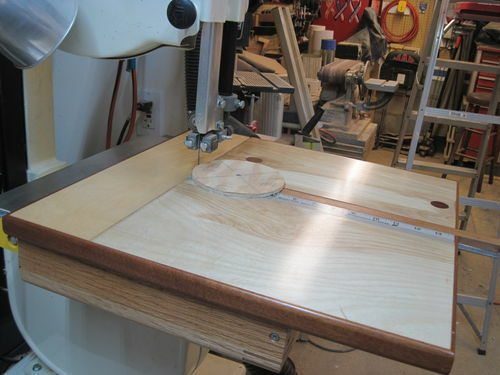 Another patch is to use a router and a template guide to make patches…the same way you would make a butterfly patch to pull a crack together, only create a less conspicuous shape like an oval from a piece of wood with the same grain pattern. If done carefully the patch will almost disappear. You see a crude version of this in CDX plywood. Thanks again for all the tips…I am keeping notes on all of these so I can refer back to them in the future. This post and the resulting thread has definitely been a learning experience!!! Interesting…. Do you use sanding dust mixed with the shellac?